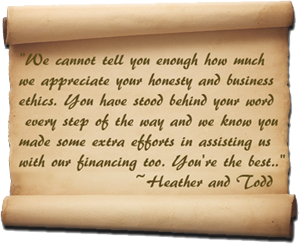 ﻿ Customer Care - Luxor Homes Inc.
At Luxor Homes, Inc. your satisfaction is our number one priority. We have well established systems in place and a full time warranty manager to address your concerns and requests. In order to provide you a rapid and organized service for warranty issues, except for Emergencies, please submit all warranty requests here. Examples of Emergency Services include loss of heat, electricity or water, a gas leak, plumbing leak or other situation that may cause your family danger or damage to the home if not immediately addressed. In such case, you may leave a message at 219-406-4705 or 219-614-3423. You may also directly contact one of our Preferred Subcontractors listed on this page. For gas leaks, please immediately call your utility provider (NIPSCO or REMC). Luxor Homes, Inc. offers its clients the best in customer care. Our team is committed to servicing your home through the warranty period. We implement many quality control checks during construction to minimize controllable issues. Accordingly, we do not bother you with routine inspections of your home after you move in but instead quickly respond to your concerns as they may develop. We provide our warranty in writing. With a 2 year extended warranty for Material Defects and a 10 year warranty for Structural Defects, our warranty is one of the best in the business!